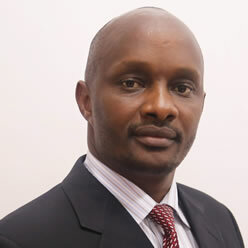 Effective September 1, 2013 Mr Omari Issa has been appointed as Board Chair of Amref Health Africa’s International Board. 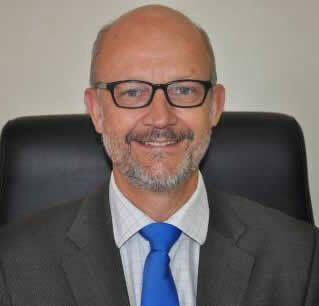 Mr Issa is currently the President’s Adviser/Chief Executive of the Presidential Delivery Unit in Tanzania. Prior to this appointment he was the Chief Executive Officer of the Investment Climate Facility for Africa in Tanzania. Mr Issa holds a Master in Business Administration from Columbia University, New York and a Bachelor of Science (Honours) from Polytechnic of Central London, UK. Mr Issa, a Tanzanian national, has extensive experience in the management of international and local organisations. He has served as a board member and chairman of several organisations in various countries globally. Having extensively collaborated with public and private sectors within these countries, he is well versed with pan-African networks. Judith is a successful professional, mother of two girls and a firm believer in the power of social entrepreneurship as the answer to some of the most pressing challenges of our time. With over 22 years work experience in the financial services, auditing, management consulting and fund management, she has managed to find the balance in remaining highly effective in business while changing the lives of vulnerable women, children and learners in poor schools through Sešego Cares, a charitable organization which she and a small group of dynamic women established 11 years ago. 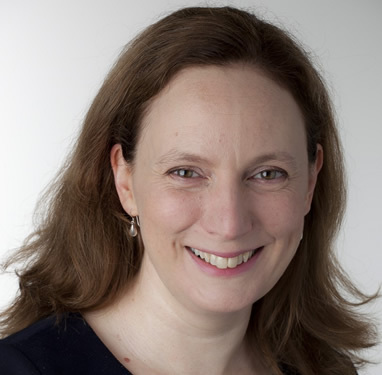 Judith holds an MBA from Henley Business School, Advanced Diploma in Project Management - Cambridge University and is also a Graduate and Associate of the Institute of Chartered Secretaries and Administrators - UK. 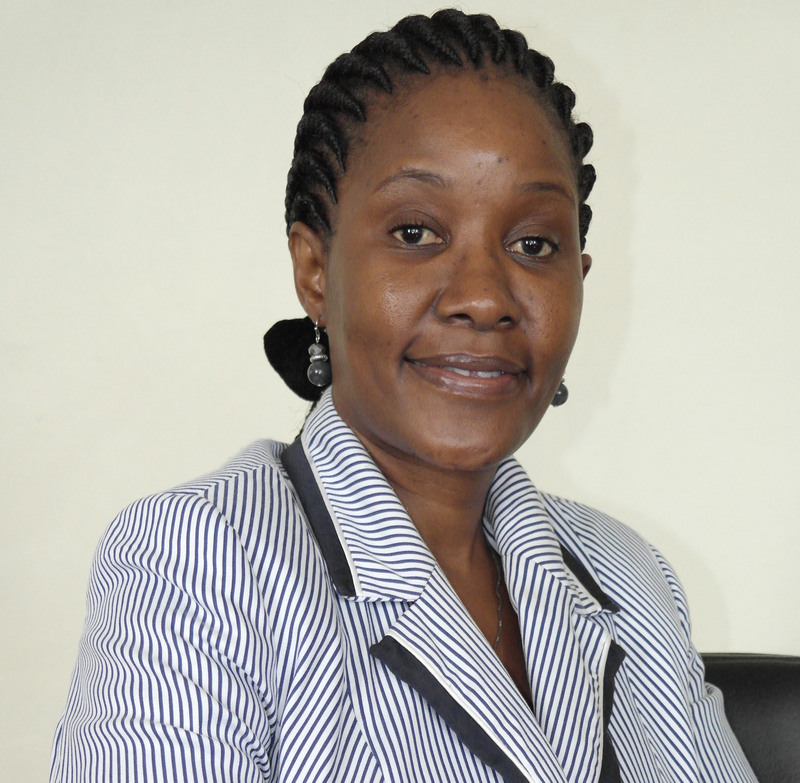 She is a board member of Henley Academic Board, Amref Health Africa and Sešego Cares. Timothy S. Wilson is the Managing Director and Co-Head of Global Risk Management Advisors, the leading firm providing outsourced risk management services for asset management firms and institutional investors. Previously, Tim served as Chief Risk Officer for the investment management company Caxton Associates. Prior to joining Caxton, Tim worked in the risk function at Morgan Stanley including heading the market risk function for Europe and Asia based in London. 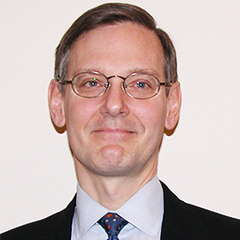 He had previously served as an Economist in the Division of International Finance of the Federal Reserve Board and as a Research Fellow of the Brookings Institution. Tim has helped lead a range of public and private sector policy efforts to promote enhanced financial stability and sound financial risk management practices. He was educated at Harvard College and Stanford University, is a member of the Editorial Board of the Journal of Risk Management in Financial Institutions, resides in New York City and in his leisure time particularly likes to read new work in fiction, history, development economics and cell biology. 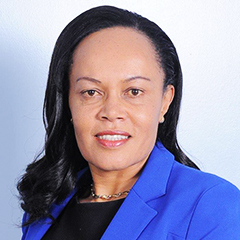 Kellen Eileen Kariuki is the Executive Director and CEO for the Unclaimed Financial Assets Authority (UFAA), which was established by an Act of Parliament in 2011. She is also the Managing Trustee of Unclaimed Financial Assets Trust Fund. Before joining the UFAA, Kellen had been at Citibank N.A serving in different senior leadership positions. 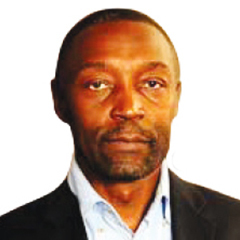 Kellen has held numerous Board positions including Chairperson of Citibank Tanzania Limited, Non-Executive Director of the Amref Health Africa International Board, Non-Executive Director of Resolution Insurance Limited, Non-Executive Director of Citibank Uganda Limited, Chair of the Citibank Kenya Provident Fund, Non-Executive Director of Cititrust (Kenya) Limited, and Non-Executive Director of the Kenya Roads Board. She is a founding member of the Board of Advisors of the Strathmore Business School and has served as an elected council member of the Institute of Certified Public Accountants of Kenya. In 2003, Kellen was awarded “The Moran of the Order of the Burning Spear” (MBS) by the President of Kenya. She was also recognized by the Kenya Institute of Management as the “Professional Manager of the Year” during the Company of the Year Awards in 2003. Kellen holds an Msc in International Human Resource Management from Cranfield University in the UK. She also holds an MBA in Strategic Management and a Bachelor’s degree in Accounting, both from United States International University. She is a Fellow Certified Public Accountant (FCPA (K). 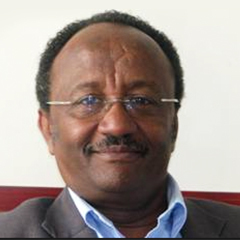 Dr Teshome Gebre holds an M.Sc. in Global Health Policy and a PhD in Health Care Management. 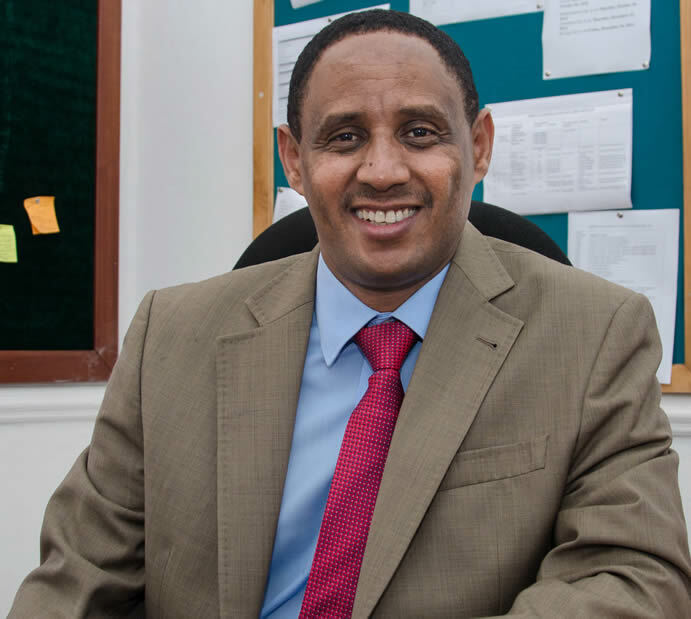 He has served in various senior programme management positions for about 18 years within the Ministry of Health of Ethiopia. 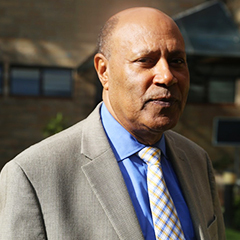 In 1995, Teshome joined The Carter Center and served as a Country Director until transitioning to the International Trachoma Initiative in June 2011, when he was appointed to work as a Regional Director for Africa based in his home country, Ethiopia. He has authored and co-authored more than 65 publications, including contributions to book chapters. 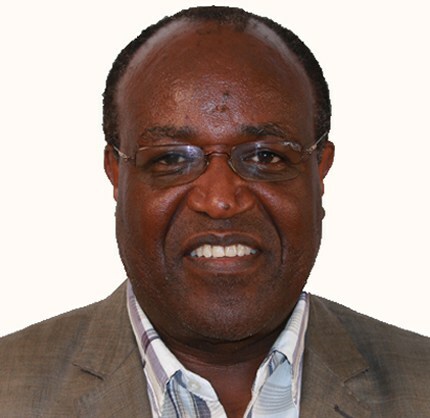 Dr Teshome has been serving Amref Health Africa in Ethiopia as Chairperson of the National Advisory Council since 2012. 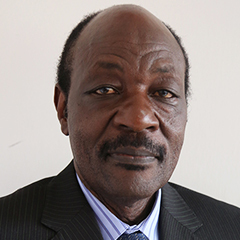 Professor Richard Otieno Muga is currently the chair of Amref Health Africa in Kenya board and an Associate Professor at the Great Lakes University of Kisumu (GLUK). Prof Muga also sits at the Amref Health Africa International Board. 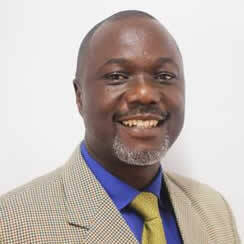 He holds a Master's degree in Child Health and Post-graduate Diploma in Health Systems. Management. He has over 30 years of experience in Public Health Service most of which involved leadership and health systems management at different levels in the health sector. He has served as a member in the Country's Coordinating Mechanism (CCM) for the Global Fund. His main areas of interest include health systems management, health systems research, planning of health services, and donor support negotiations. Mr. Tjark R.C. de Lange (1967) graduated in 1992 as a Maritime Officer, Nautical and Technical Engineer. In 1997 Tjark founded Kapp Nederland B.V., a strong international player in a niche market, calculation and supply of industrial heat exchangers in the process industry. The company, from which Tjark de Lange is 100% share holder, has large international clients in the oil and gas industry and in the pharma, food, energy and shipping industry. Tjark de Lange holds several positions. 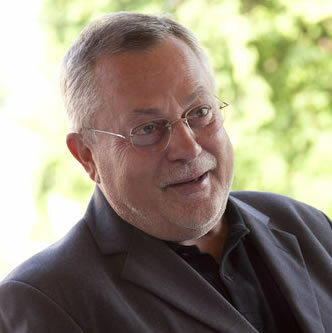 He is member of the Supervisory Board of the Van Gelder Group (a road construction company), he is trustee of VNO-NCW (the Dutch confederation of industry) and co founder and member of the Executive Board of the Lisbon Council (one of Europe’s leading think tanks). 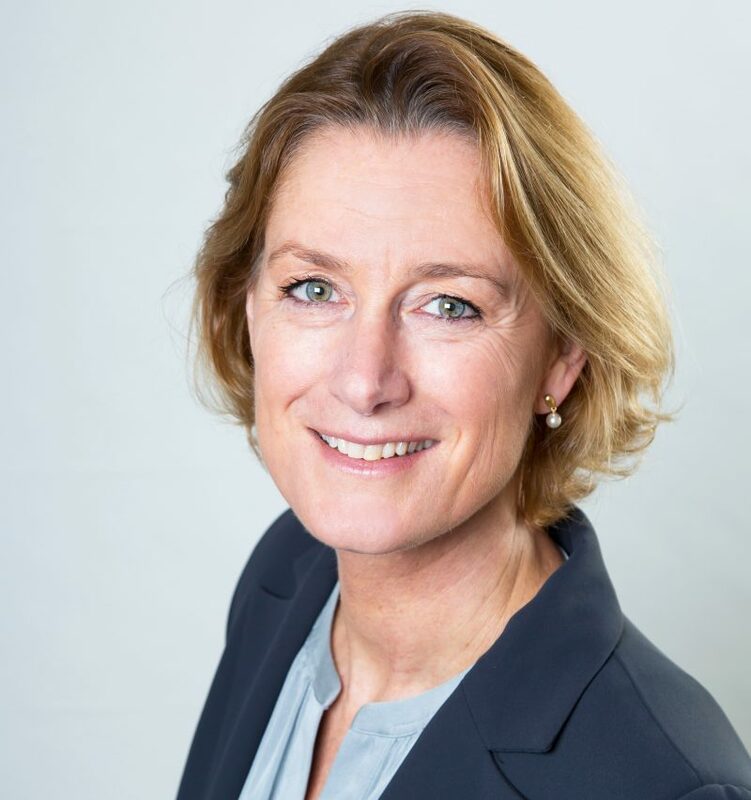 Tjark has been the chair of the Supervisory Board of Amref Flying Doctors in the Netherlands since 2015, and a member of the international board of Amref Health Africa. Tito Alai is the principal at Mimi Africa, where he develops projects with Pan African potential in the converging Technology, Media, Telecoms, and Financial Services sectors. Tito played a significant role in the development of mobile telephone networks across Africa and the Middle East as Group Chief Commercial Officer of Zain, and prior to that Celtel. During his extensive international career Tito has been a growth champion across Central Europe, Middle East and Africa, Latin America, the Indian sub-continent, and low-income consumer segments worldwide. 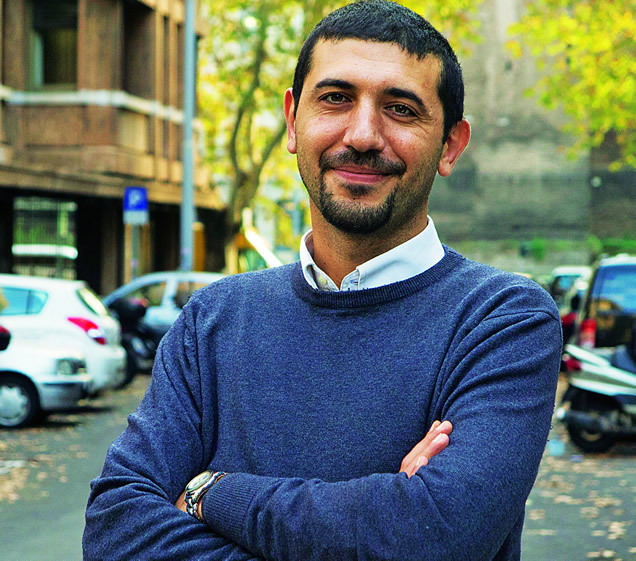 He started his career at Unilever, and has been based in London, Amsterdam and Bahrain. Jacques van Dijken obtained a master-degree in law at Utrecht University and spent his professional life in the financial services. As CEO, he chaired the management boards of DBV Insurance Company and Swiss Re Netherlands. 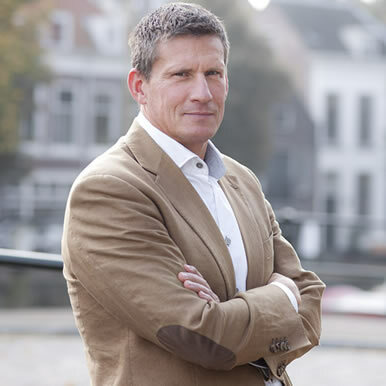 Jacques joined the supervisory board of Amref Netherlands in 2010 and has chaired the local Dutch Audit Committee since then. He has been a member of the Finance and Investment Committee as well as the Audit, Risk and Compliance Committee of Amref’s International Board since 2013. Jacques is also the vice-chairman of the supervisory board of the ‘Friends of the Utrecht University Hospital' Foundation. Mary Ann MacKenzie is currently Vice President Relationship Management at CIBC Mellon Global Securities Company in Canada. Prior to joining CIBC Mellon, she was Vice President, Strategic Account Management at Franklin Templeton and has spent most of her career in financial services in the Investment Industry. Mary Ann attended Ryerson University, Toronto and has completed numerous financial services, sales and leadership courses. She is the Board Chair for AMREF Health Africa in Canada. Her charity work has included multiple trips to Uganda to help build classrooms in villages and a climb up Mt. Kilimanjaro for the Make a Wish Foundation. She spent several years on a Board for autistic children. Mary Ann received the Bruce McGowan Award Canada for Community Giving in 2010 and the Harmon Burns Global Award for Leadership and Community Giving in 2011. Mette Kjaer Kinoti joined Amref health Africa on June 5, 2018 as the Chief Programmes Officer. 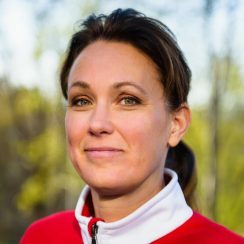 Mette is a seasoned Programme Development Leader and an expert in Strategic Leadership and Management; Organizational Development of Civil Society Organisations; Programme Management; Institutional Fundraising and Gender mainstreaming and women empowerment. Since December, 2014, Mette has been serving as the Vice President- Africa for Helen Keller International. Prior to this, Mette held different positions at Amref. 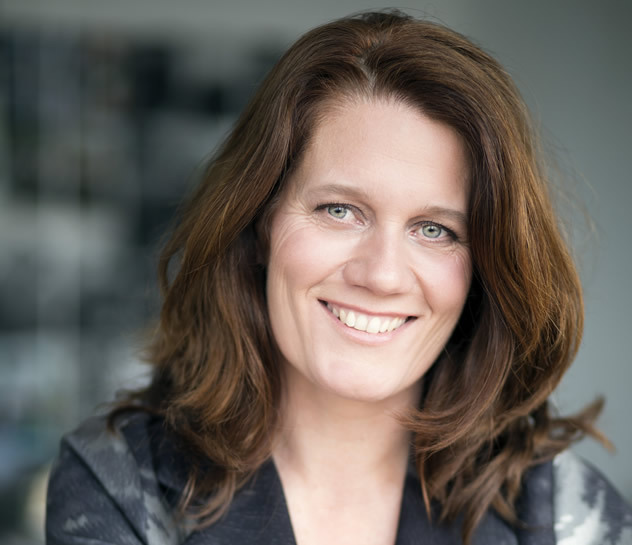 Between November 2010 and November 2014, Mette served as Head of Programme Management at the Amref Headquarters. Mette was the Ag. Country Director, Amref in Ethiopia in December 2007 to January 2007 and also served as Country Director, Amref in Kenya for almost 10 years between January 2000 and October 2010. Between August 2005 and December 1999, Mette served as the Director of International Dep. 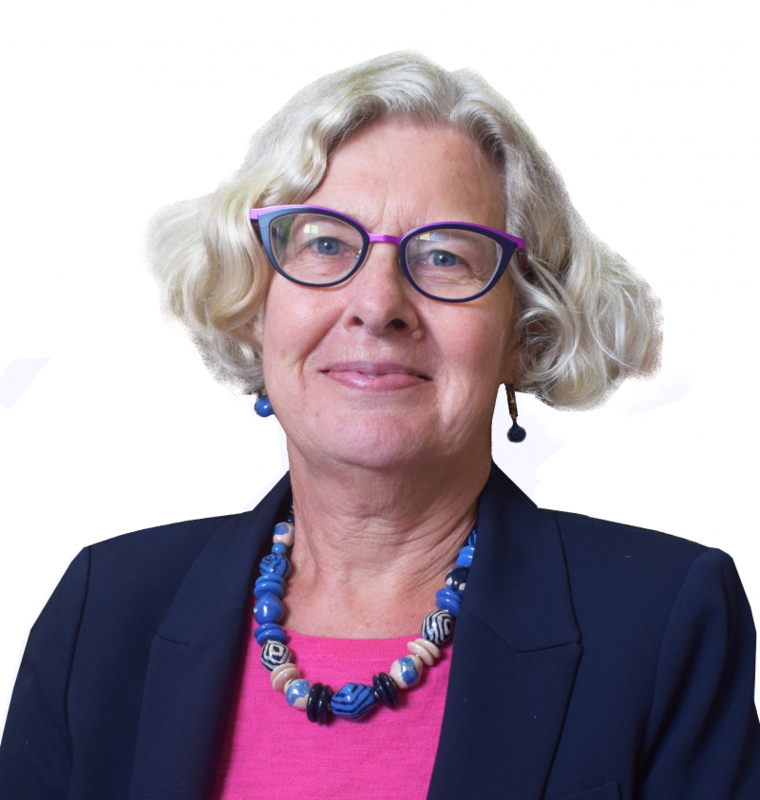 For MS – Denmark, Country Director for MS-Kenya between April 1992 and July 1995 and Programme Coordinator & Deputy Director for Dansk AFS from 1989 to 1992. In her earlier career Mette worked as a Consultant for MS in Nepal, Ghana and Uganda and a social worker 1991 and 1992. 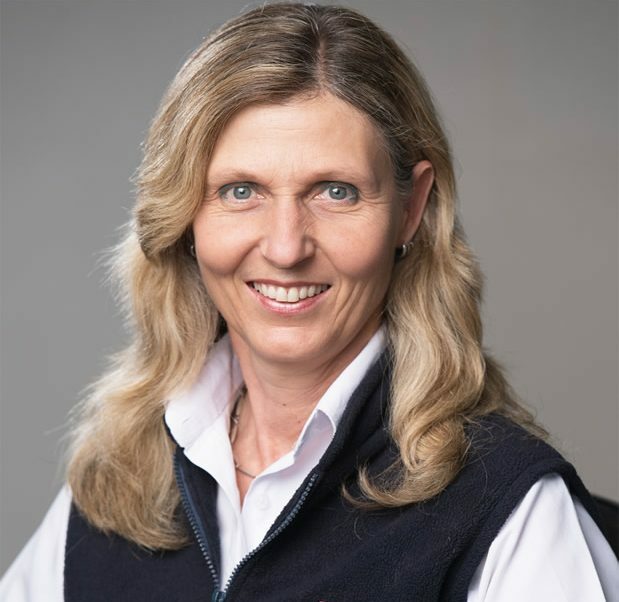 Mette earned her Master of Food Science from the Royal Veterinary and Agriculture University, Copenhagen, Denmark and holds a Bachelor’s Degree in International Education and Development Studies from University of Copenhagen. 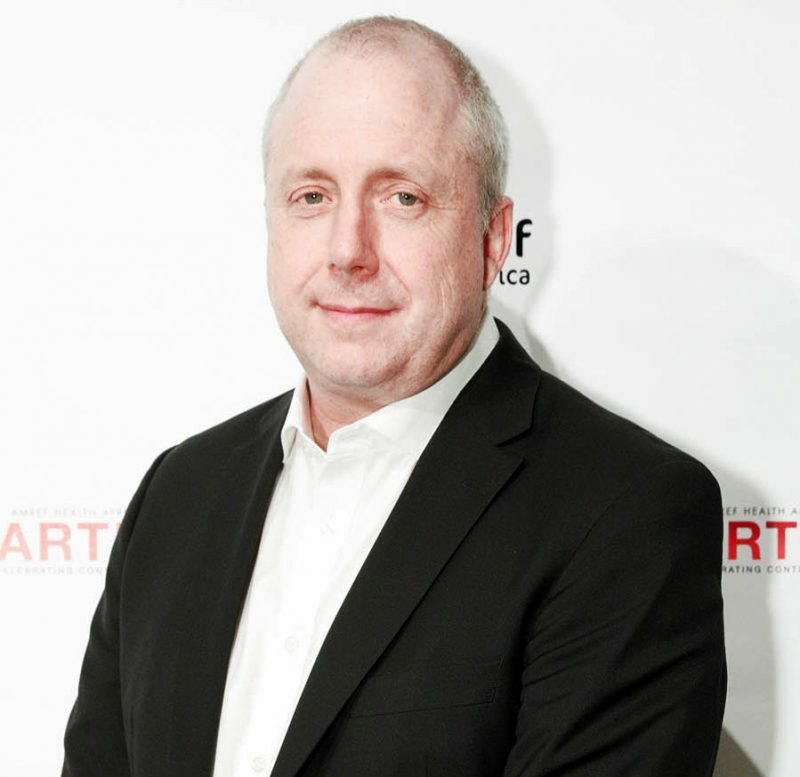 Jonathan Dutton joined Amref Health Africa as Group Chief Finance Officer in 2014. He was previously the Executive Director of Finance and Corporate Services at the London Legacy Development Corporation which was responsible for the regeneration of the area of London used for the 2012 Olympics. He had also been the Finance and Corporate Services Director at Oasis Community Learning Group. Prior to that he was a Managing Director in Corporate Finance at Deutsche Bank and UBS. Jonathan holds a Bachelor of Science degree in Economics and Accounting from the University of Wales. He is a Fellow of the Institute of Chartered Accountants in England and Wales. Starting off as a Flight Physician with AMREF’s Emergency Service, accompanying air ambulance flights in East Africa and beyond, Dr Vadera has been with AMREF Flying Doctors for the last 14 years. Dr Vadera obtained her Medical Degree from the Medical University in Hamburg, with specialisation in Emergency Medicine, Family Medicine and Tropical Medicine. Her PHD is in Nuclear Medicine from the University in Marburg and she is certified in ATLS (Advanced Trauma Life Support), ACLS (Advanced Cadiac Life Support), PHTLS (Pre-hospital Trauma Life Support) and PALS (Paediatric Advanced Life Support-Instructor). Dr Vadera has close to 2,000 hours experience in the field of medical patient transport, including ground ambulance, air ambulance and helicopter rescue and is a member of the EURAMI (European Aero-medical Institute) Board of Director. 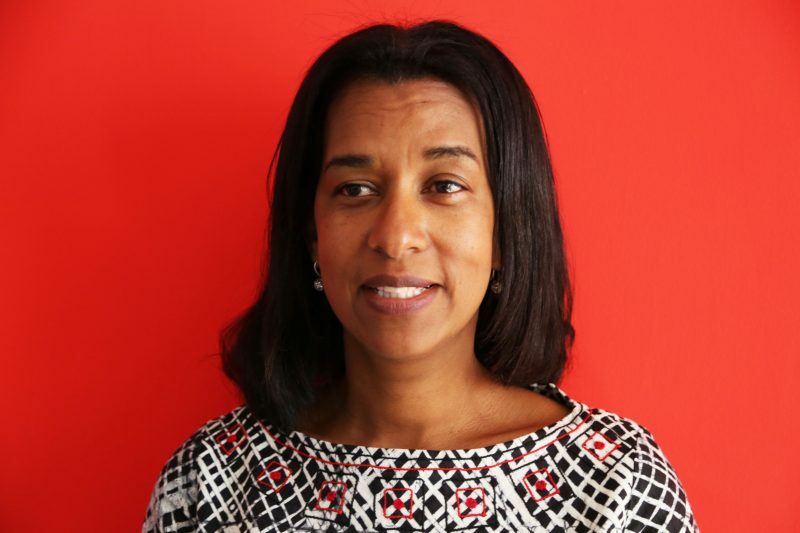 Desta Lakew serves as the Director of Partnerships for Africa. In this role, she has been engaged in securing high level strategic partnerships with the private sector in Africa. Desta has served on the senior management team of Amref since 2014, establishing the Fundraising & Partnerships Directorate. A certified fundraising executive with more than a decade of fundraising and marketing experience, she is committed to promoting philanthropic giving by Africans for Africa. Prior to joining, she was the Director of Development at a New York based Foundation where she also served as Director of Marketing from 2006. She is a founding board member of the NY-Westchester Chapter of the National Association of Fundraising Professionals (AFP). Her experience includes various roles in USA based university teaching hospitals and consulting with international organizations including the UNDP, and Public Health Innovations. Desta holds a Masters of Public Health from the State University of New York and currently serves on Acumen East Africa’s regional advisory board and the Working Group on Private Sector of Health Systems Global. 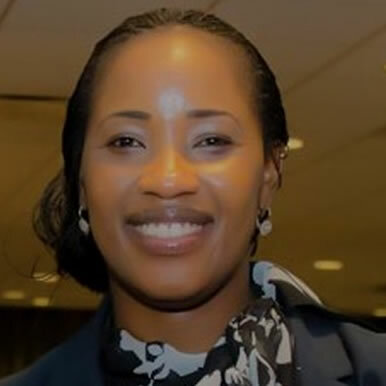 Angela Muchiru is a seasoned Human Resources professional with over 16 years’ experience in mainstream HR, consultancy and advisory in blue chip companies and development agencies. She has led HR functions at Tetra Pak covering Africa and Middle East and at Commercial Bank of Africa with HR advisory experience gained at KPMG and most recently at her current role as Associate Director at Cedar Consulting. Her countries of experience include East Africa, South Africa, Nigeria, Swaziland, Zambia, Namibia, Malawi, Eritrea, Ethiopia, Rwanda, Burundi, Djibouti, Sudan, Senegal, Pakistan, Turkey, Iran and Saudi Arabia. Angela holds an MBA in Strategic Management from United States International University - Africa (USIU-A) and a degree in HR from Daystar University and is a change management professional certified by PROSCI. 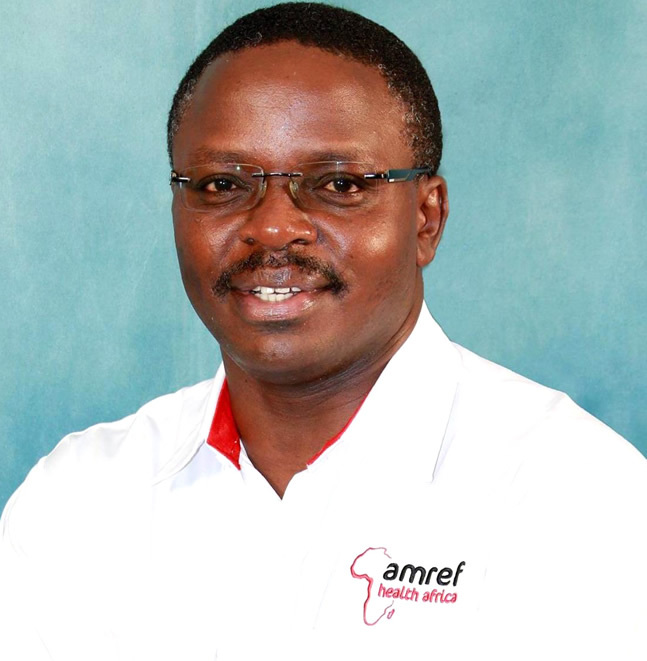 Samuel Weru joined Amref Health Africa in May 2015. He previously worked for Oxfam Great Britain as the Regional Information Systems Manager for the Horn, East and Central Africa in charge of Information Technology operations in 8 countries and regional centre. His last appointment in Oxfam was that of Associate Country Director for Oxfam, Somalia where he successfully turned round the Programme through aggressive resource mobilization and strategic leadership. Prior to joining Oxfam, he served as the IT Manager for Practical Action, a UK based international charity that uses sustainable technology solutions to challenge poverty where he established a fully-fledged hub for the region. Samuel holds a BSc. in Computer Science and an MBA in Management of Information Systems (MIS), both from the University of Nairobi. He is currently finalising his Phd. programme in Strategic Information Systems with special interest in Open Innovation Ecosystems for organizational Capability, Agility and Performance. Elizabeth Ntonjira serves as the Senior Manager, Corporate Communications for Africa. In this role, she is a leader and mentor within the communication department and the global communications network where she provides leadership for all Amref Health Africa’s corporate communications working in collaboration with African, European and North American offices to position Amref as a premier organization for lasting health change in Africa. 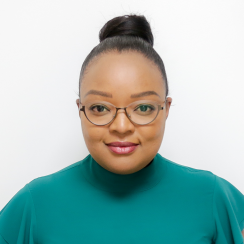 A chartered public relations practitioner with more than a decade of strategic communications and public affairs engagement experience, she is committed to changing the African narrative by showcasing compelling stories that reflect the efforts of improving Africa’s development Agenda. Prior to joining, she was the IBM Communication Manager for Central, East and West Africa where she led all external communication activities supporting business issues of major consequence to IBM. Her experience includes various roles in the public, private and international development sectors where she has been accorded various recognitions including the 2018 Africa Youth Leader of the Year by the Africa Youth Awards; 2018 100 Most Influential Young Kenyans by Avance Media among others. 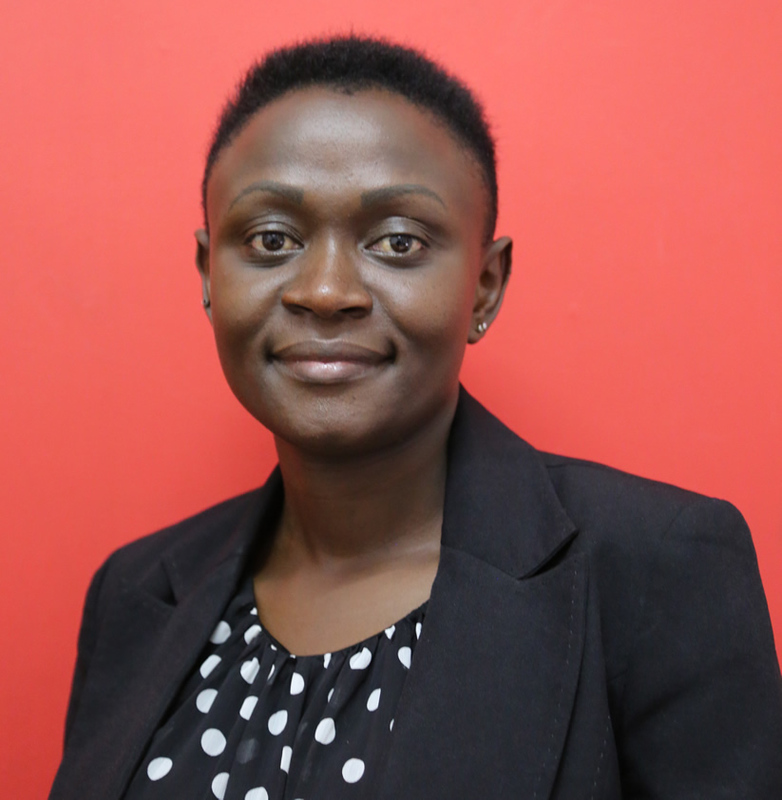 Elizabeth holds a Bachelor Degree in Law from the Catholic University of Eastern Africa, a Post Graduate Professional Diploma in Public Relations from the Chartered Institute of Public Relations in the UK and a Master’s Degree in Public Policy and Management from Strathmore Business School. She is also a Public Policy Management Fellow from Virginia Commonwealth University in Virginia (USA) and a recipient of former US President Barack Obama’s Mandela Washington Fellowship for Young African Leaders (2015). 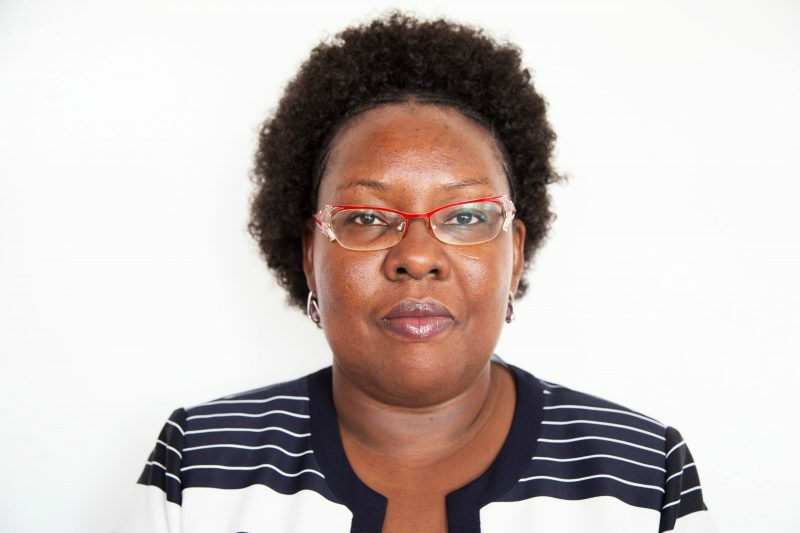 Frances joined Amref Health Africa UK as Chief Executive in August 2015. Frances has over 20 years’ experience in the not-for-profit sector focusing on leadership, strategy and communications. Her career reflects a passion for the promotion of access and inclusion for marginalised and disadvantaged groups, especially women and girls. In her role with Amref she continues to champion collaboration with communities which draws on local knowledge to find innovative and effective ways to increase access to healthcare. Frances was previously Director of Communications and Brand and Head of International Programme Engagement for Unicef UK. She also worked in Afghanistan to develop the communications strategy for the Ministry of Public Health’s Public-Private Partnerships programme to extend the provision of secondary and tertiary healthcare. 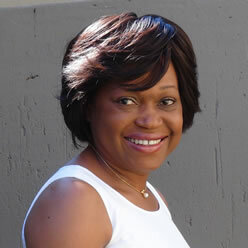 From 2009 to 2012 Frances lived and worked in Swaziland, leading the evaluation of an experimental USAID-funded national HIV prevention programme and creating the communications strategy for the Ministry of Health for their new national Health Management Information System. Frances has an MSc in Development from the School of Oriental and African Studies in London. 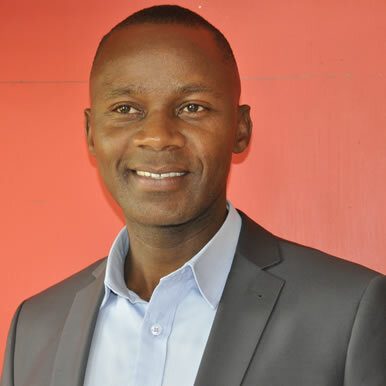 Dr Joachim Osur is the Director of Regional Offices and Field Offices at Amref Health Africa. He is a public health and reproductive health specialist with wide experience in health programming in the African context. He has contributed immensely to health systems strengthening in various countries, health policy development and advocacy and development of models that have impacted thousands of lives. Among others, he holds a bachelors degree in Medicine and Surgery, a Masters Degree in Public Health, and a PhD in reproductive health. 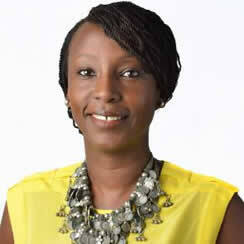 Anne-Marie Kamanye is the Executive Director of Amref Health Africa in Canada. She was appointed to the role in 2011, after serving as the organization’s Director of International Programmes since 2006. Committed to women and children’s rights, Anne-Marie has extensive experience in international development. 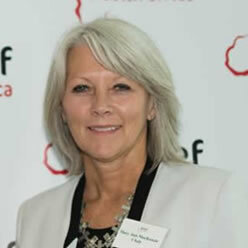 As Executive Director, Anne-Marie is responsible for continued growth and development of Amref Health Africa in Canada, providing leadership and strategic direction, preparing and monitoring budgets, carrying out policies and procedures developed by the Board of Directors and collaborating and engaging with Amref Health Africa in Africa. Anne-Marie was awarded the African Canadian Woman Achievement Award by the Endless Possibilities and Hope Development Organization in 2007. Linda serves on the senior management team as Director of the Global Fundraising Development Office. Prior to this she was management team member at Amref in the Netherlands (2005 – 2018) responsible for fundraising, partnerships and communication, leading rapid fundraising growth and diversification of income. 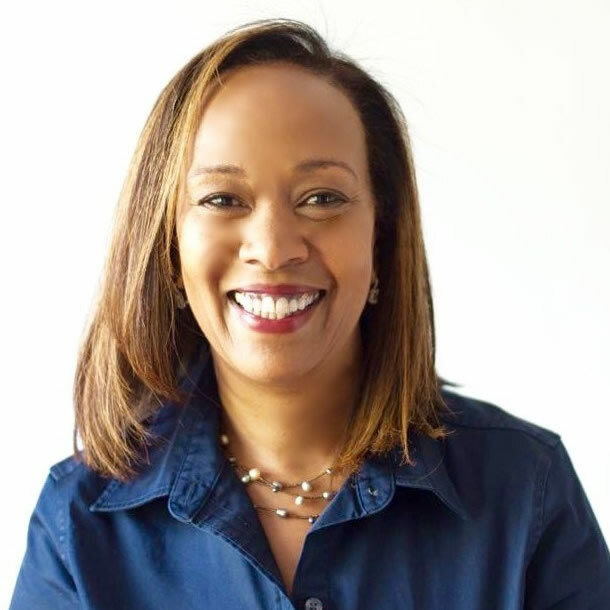 Before joining Amref, Linda worked as a CEO in publishing and in several marketing/commercial management positions in the international media - (a.o. TIME Magazine) and internet industry (America Online). Designing growth plans, developing teams and achieving results in multiple markets were key in these positions. Linda studied Business Administration and has a Master’s degree in European Studies. She was born in South Africa and raised in the Netherlands. 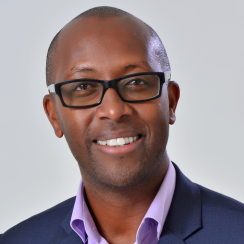 As the Country Director, Dr Ndirangu provides overall strategic leadership to the Country Programme, working with the Senior Management Team of Amref Health Africa in Kenya. Prior to this he worked as the Head of Programmes for Amref Health Africa in Kenya Country from January 2011 – October 2014 where he provided leadership in: strategic planning for clinical & diagnostics program; program development; programmatic performance management; quality improvement; monitoring & evaluation; staff development. 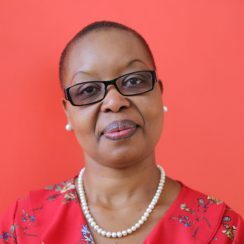 Dr Ndirangu holds an Executive Master of Business Administration (2010); Master of Public Health (2006); Bachelor of Medicine and Bachelor of Surgery (1996); extensive leadership development (2009 to 2011); Executive/Professional Coach accredited through the UK Academy of Executive Coaching (2014). Bob Kelty has 25 years of experience working with impoverished communities in East Africa, India and the United States. Before joining Amref Health Africa, Robert held leadership roles at Action Against Hunger, Coalition for the Homeless, Gere Foundation, and Elizabeth Glaser Pediatric AIDS Foundation. Prior to his non-profit career, he spent five years working in the real estate and commodities industries. Bob has a B.S. in Business Administration from San Diego State University and completed his Master’s Degree in Public Administration at NYU's Wagner School.